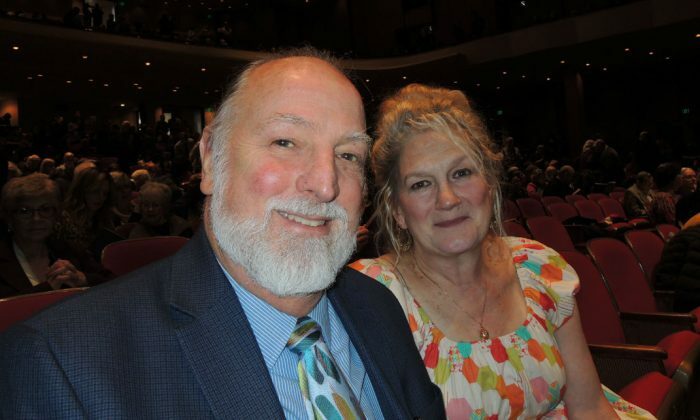 PORTLAND—Shen Yun Performing Arts was an eye-opening experience for attorney Kim Peoples and his wife Michele Peoples. They were impressed by the New York-based company’s courage to present a different side of China–one that the current communist regime is trying to hide. 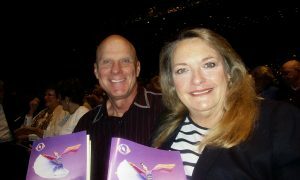 Kim and Michele saw the performance at the Keller Auditorium in Portland, Oregon, on April 14. Through about 20 vignettes of classical dance, solo musicians, and story-based dances, Shen Yun takes audience members on a journey through China’s 5,000 years of civilization and history. Shen Yun’s mission is to bring back the genuine Chinese culture that was lost after seven decades of communist rule. Many people are surprised to learn from the emcees that a great number of Chinese people are still being persecuted for their faith, despite the communist regime’s appearance of modernization and opening up to the West. What they don’t know is that the Chinese Communist Party (CCP) sees traditional Chinese culture, which is deeply rooted in Buddhism, Taoism, and Confucianism, as its greatest rival. The regime has launched many campaigns to dismantle traditional culture and people’s belief in the divine, and replace it with Mao Zedong’s way of thinking and style of discourse—a move that has been devastating to the Chinese people’s identity. 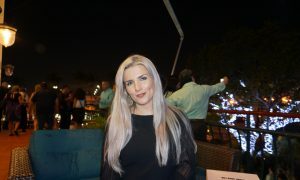 Michele, who is a teacher and actress, said the piece depicting the real-life persecution in modern China moved her to tears. “I tell you, watching the scene with the mother and the daughter and the jail, it just brought me to tears, I had no idea … And it was presented in a way that was striking, but at least there was a little more explanation to it after it was done, and so I appreciate that,” Michele said. 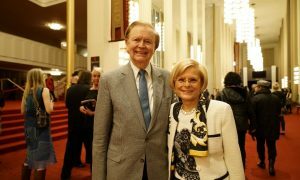 Her husband Kim said he was impressed by Shen Yun’s efforts to bring back the culture. “I am very impressed that there is an effort to do so. 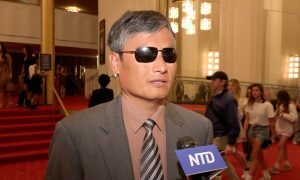 And I’m extremely impressed and curious as to how the production can share the information that is prohibited in China, about the communist suppression of the culture,” he said. Seeing that genuine Chinese culture was at its brink of being wiped out, a group of overseas artists was determined to bring back everything that truly defined the Chinese people. This was how Shen Yun Performing Arts was born. Kim added that he is concerned that the communist regime could retaliate against the performance for enlightening the West about sensitive issues. “I worry that the communist regime will maybe be retaliatory for that enlightenment to the West. 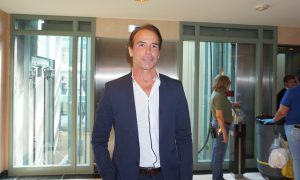 I would like to know how the production people feel about that,” he said. 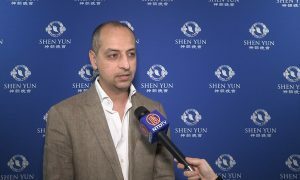 Since its inception in 2006, Shen Yun has faced challenges due to Chinese embassy interference around the world. Some of these countries include Holland, Denmark, South Korea, Australia, and the United States. In many instances, the Chinese regime has tried to pressure theaters not to lease their space to the performing arts company or pressure them to cancel their shows. The communist regime has even sought to coerce government officials not to attend the performances or voice public support for the company. 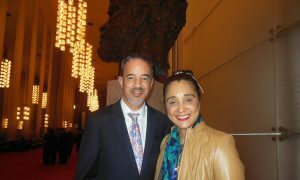 Meanwhile, Michele said in order to support Shen Yun’s efforts, she hopes to come to see Shen Yun again. “I think for myself, what I will continue to do to support is to come to these shows and to say how wonderful they are, and what they are preserving and representing, and for other people to support it as well,” she said. With reporting by Mary Zhang.